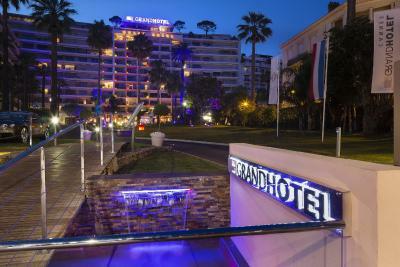 Lock in a great price for Grand Hotel - rated 8.4 by recent guests. Very nice personnel, beautiful gardens and wonderful views ! Rooms big and comfortable. The location is great as are the nicely decorated rooms overlooking the Baie de Cannes. The bar is nice as is the restaurant. I will definitely be back! Everything was perfect- location, service, size of the rooms! The hotel offer mobile phone with free calls and internet, TV with internet and TV channels. This is a great apartment. Very modern and clean and tidy. We had a wonderful time here. David was very helpful and a very good host. Chic and cool hotel in 60s Art Deco style, great location, view of gardens and sea were fabulous, restaurant delicious too! 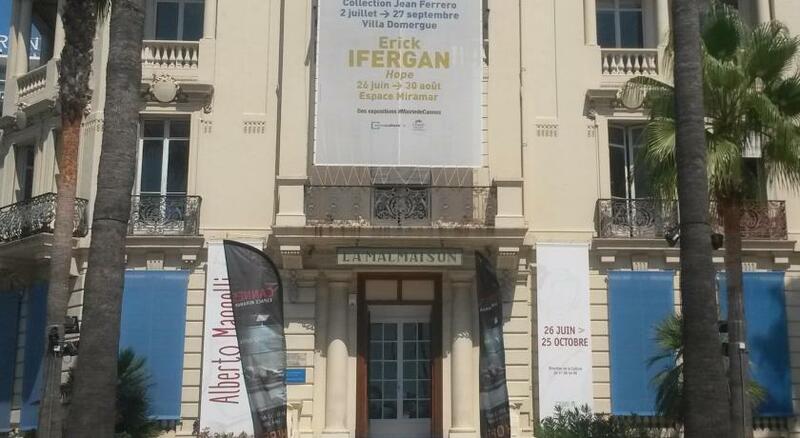 Great location right in the middle of everything on the croisette, large comfortable room. Excellent location and garden. People from concierge. Trying to help. One of our top picks in Cannes.Located on the Boulevard de la Croisette just 600 yards from the Palais des Festivals, this sea-front hotel offers a private beach, a Michelin-starred restaurant and accommodation with sea or city views. Bulgari toiletries, flat-screen TV with satellite channels and free Wi-Fi access are found in each spacious and air-conditioned room and suite at the Grand Hotel. Some rooms also have a private terrace. The Michelin-starred restaurant, Le Park 45, offers gastronomic cuisine made with fresh local products. Meals can be enjoyed on the spacious terrace, overlooking the garden and the sea. Rue d'Antibes is just 50 yards from the Grand Hotel and the SNCF train station is just a 10-minute walk away. The property is 16.2 miles from Nice Côte d'Azur Airport. Charging stations for electric cars are available at this property. Cannes City-Centre is a great choice for travellers interested in shopping, luxury brand shopping and restaurants. Grand Hotel has been welcoming Booking.com guests since 12 Feb 2009. 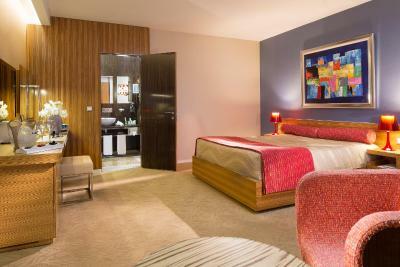 All rooms provide luxury toiletries and a flat-screen TV with satellite channels. This room has a large private terrace with a view of Cannes Bay. Hotel surroundings – This neighbourhood is a great choice for travellers interested in shopping, luxury brand shopping and restaurants – Check location Excellent location - show map Guests loved walking around the neighbourhood! House rules Grand Hotel takes special requests - add in the next step! Please note that the sunbeds and sun loungers on the private beach are available for an extra charge. Please note that the private beach is closed from October to April inclusive. For more information, please contact the property. The 5 star hotel could be bit more modern in style and have a coffee set in the room. Dinner service closed early (21.30) on Friday evening when we just arrived . We went to the Carlton to eat ! Concierge not very kind at the arrival to allow to get in with the car ( almost rude in checking if I was a guest) plus left car to valet service but left open roof glass and rained. Once git the car full of water not enormous effort to try to fix almost annoyed in cleaning and needed to reach the management to get reimbursed of the cleaning done to dry a bit since concierge has been able to be rude even on the phone at my request. This should not happen in a 5 start hotels and personal should be more kindness versus the guest . At the end it has been settled by hotel management but I strongly recommend to better train the concierge to be more kind. The hotel is 5- star, but it needs of renovation and refreshment. The bathroom needs a revamp. Proper shower. The spacious room. Its location.